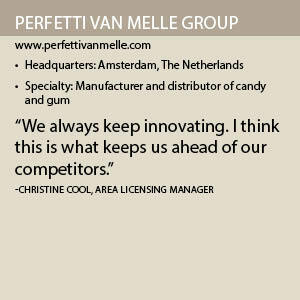 Perfetti Van Melle, partners with Snifty and Auracell, launched the Mentos scented pens. PVM Group has paired up with The Rodnik Band, a London-based art fashion label famous for its pop style and ironic take on fashion, to design a tongue-in-cheek interpretation of Dali’s work for new licensing collaborations for Chupa Chups, a popular Spanish lollipop brand and other confectionery. 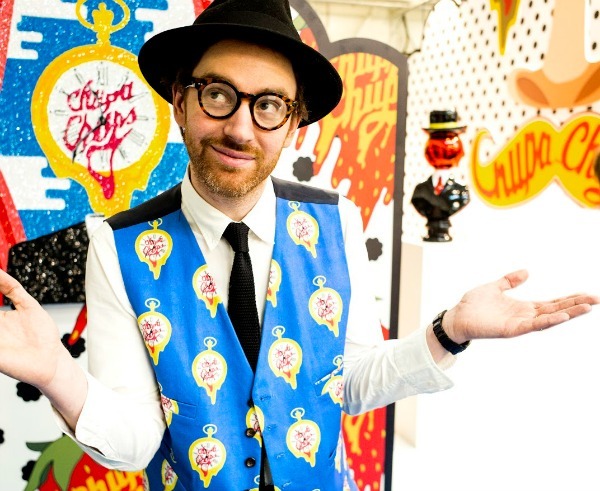 “Rodnik did a surrealist interpretation of Salvador Dalí’s work with Chupa Chups,” Cool says. Rodnik’s interpretation consisted of various sequin paintings, sculptures and sparkling outfits that aspired to capture the humor, color and fun traits of the Chupa Chups brand. Seltzer Licensing Group has been charged with identifying and securing additional licensing partners across multiple categories including foods, beverage, lifestyle, and housewares. A recent launch is the Airheads White Mystery Freezer Bar by Jelsert. It’s available in the United States at various supermarkets including Jewel, Albertsons, SuperValu, and Save-A-Lot. The bars come in a variety of “mystery” flavors. It recently partnered with Rotuba, a company with manufacturing locations in Linden and Garwood, N.J. Auracell, produced by Rotuba, is the scented sustainable plastics for various consumer products. With Auracell and Snifty Pen, PVM group produced Mentos scented pens. Launched this summer, the pens are limited edition pens that feature a variety of fun fragrances. Mentos scented pens are available in fresh mint and fruit flavors – just like the chewy candy.